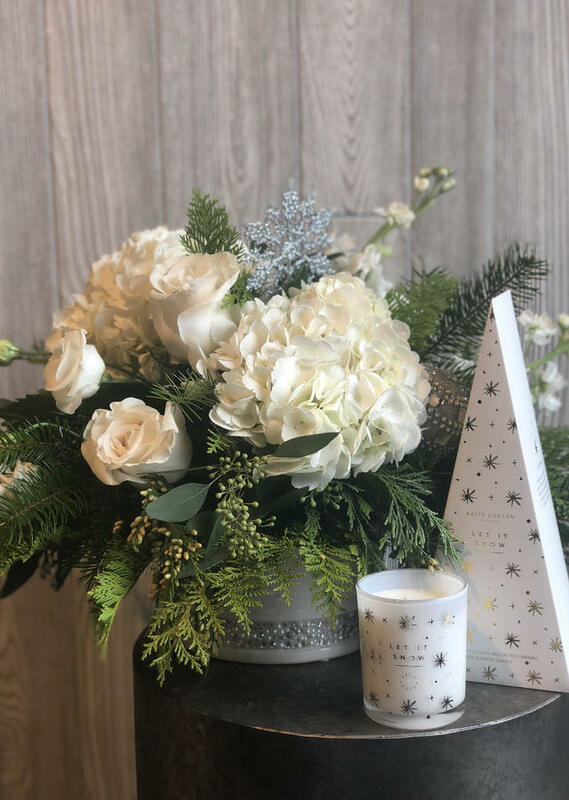 LET IT SNOWWW LET IT SNOWWWW ... Our signature holiday fresh arrangement is filled with lush seasonal greenery, hydrangeas, roses and more - all designed in a beautiful keepsake ceramic container with added beading and rhinestones. What makes this arrangement extra special? It is gifted along side of a 'Katie Loxton London' Holiday Candle - This gift is hand-delivered by one of our professional drivers. Because of the specialty items in this arrangement this is available as a LOCAL DELIVERY only.